50# longbow, 2018 shaft with 150 Grizzly El Grande. Went about 100 yards. My first turkey with any weapon. On our place we have several permant blinds, the one I was in you go to if you want a good chance at a turkey. 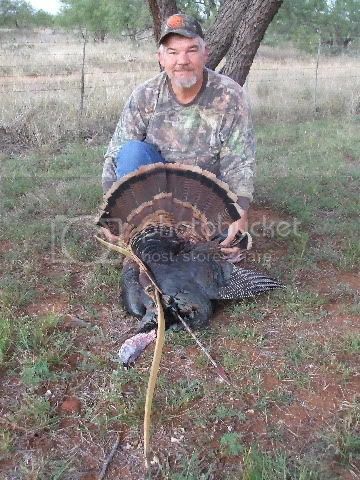 Our turkey season runs along with deer bow and gun so we have lots of time for them. Turkey with a bow is a real accomplishment. Way to go! Thats cool! I'm still trying to get one.